This set of 18 Snow White cards dates from 1982. Manufactured by Treat Hobby Products, Inc. 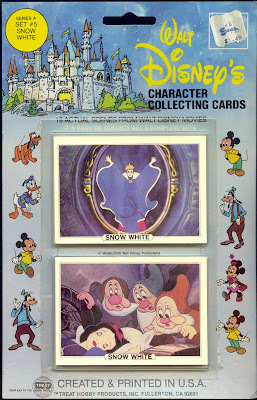 It was the fifth subset of a Disney-themed character card series. 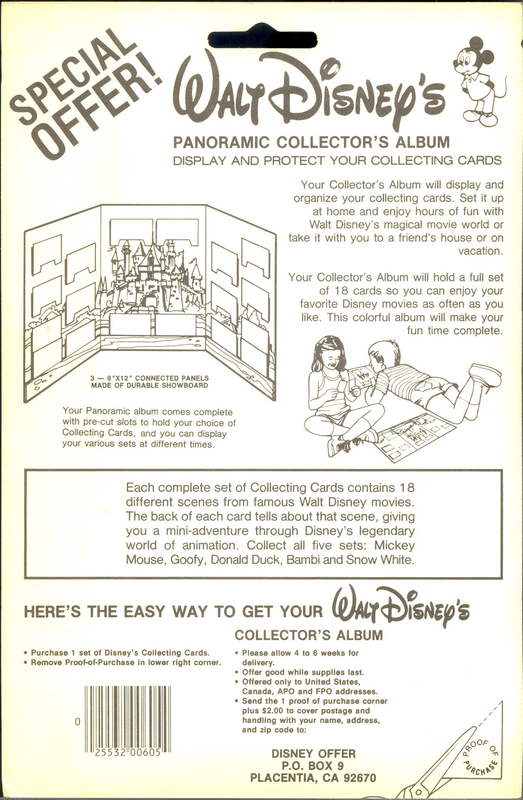 All five sets contained 18 cards for a total of 90. 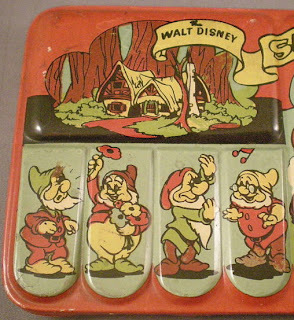 The other four: 1) Mickey Mouse, 2) Donald Duck, 3) Bambi, 4) Goofy. Special thanks to the François Monferran Collection for sharing these cards with us. 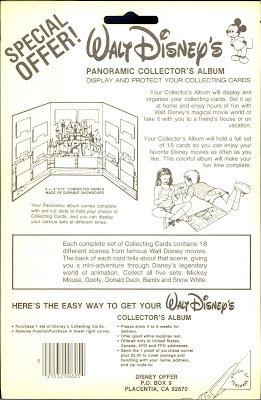 And to the TokyoMagic Collection for the card packaging. 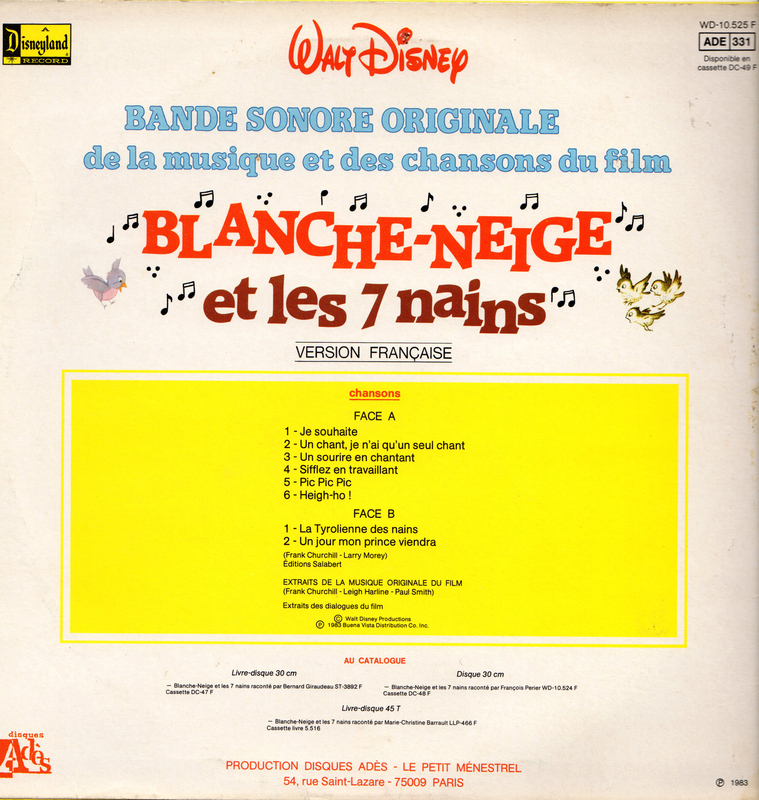 Snow White French soundtrack LP, 331⁄3 rpm. Disneyland Record catalog no. WD-10.525 F. Issued in 1983. Features the audio recording from the 1962 re-release of the film (the second French soundtrack dub). 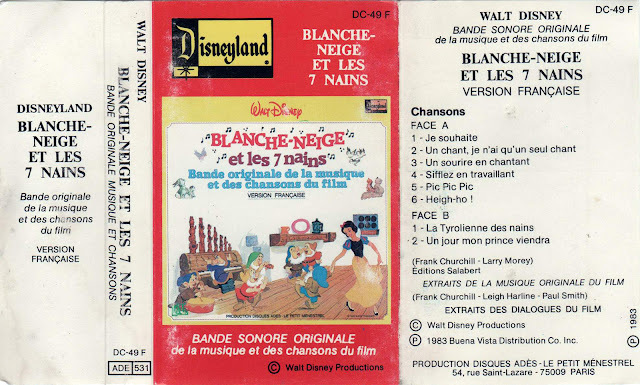 It was also available on cassette tape. No. 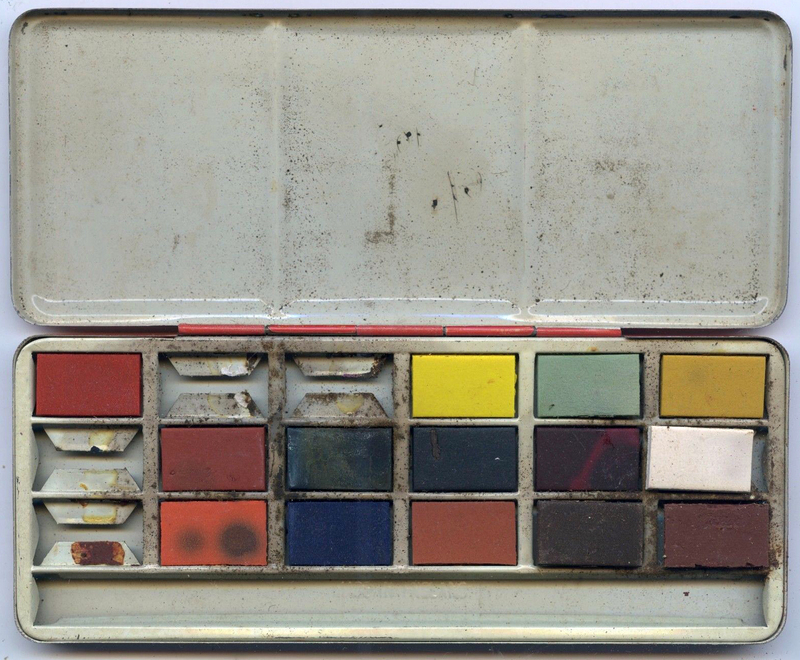 DC-49 F.
Five examples of children's paint sets produced in the UK. They date from circa 1938. All are labeled "Snow White and the Seven Dwarfs Paint Box". The small print reads: "By Permission Walt Disney-Mickey Mouse". 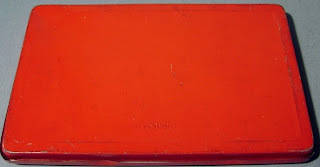 Embossed mark on inside bottom reads, "Made in England". Pictured below from largest to smallest. 1. 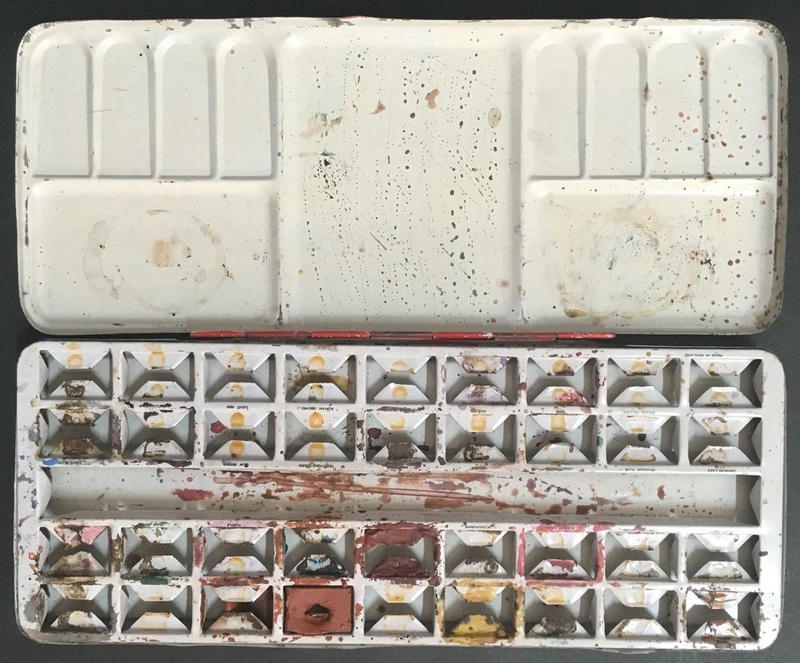 Holds 36 paint cubes. Measures 10" x 5.25". 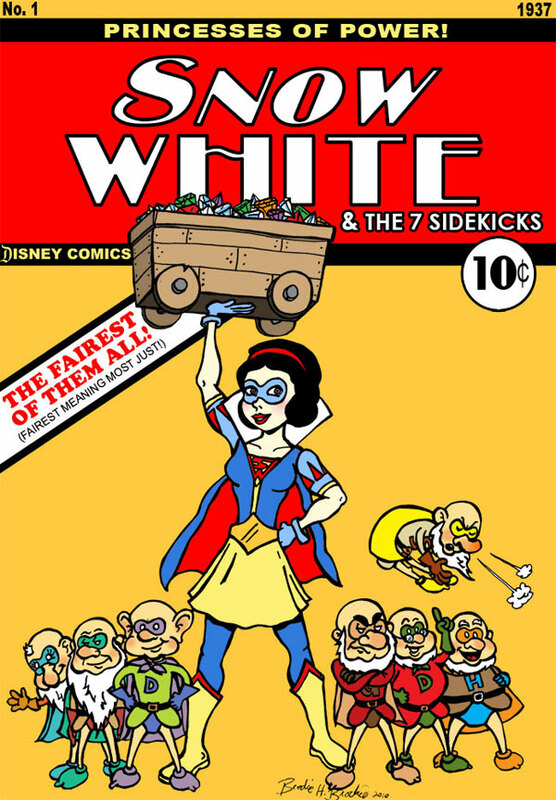 Litho illustration: The dwarfs present Snow White with pictures they've just painted. 2. 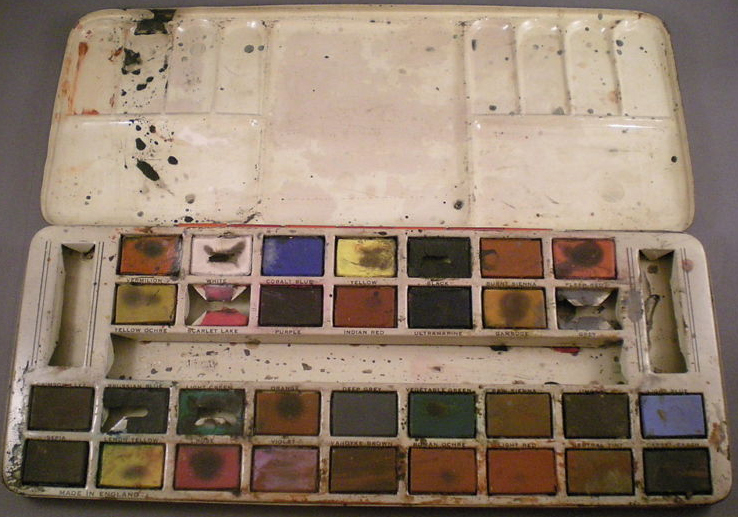 Holds 32 to 36 paints. Measures 9.75" x 4". Litho illustration: Snow White with forest friends, the dwarfs (plus a rabbit) to left and right, cottage and castle above. 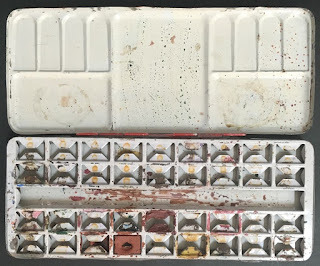 Two different paint tray inserts have been seen with this style tin, 32 and 36 cubes. 3. Holds (approx.) 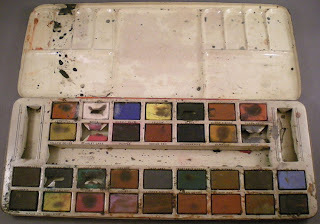 30 paints. Measures 9.75" x 4". 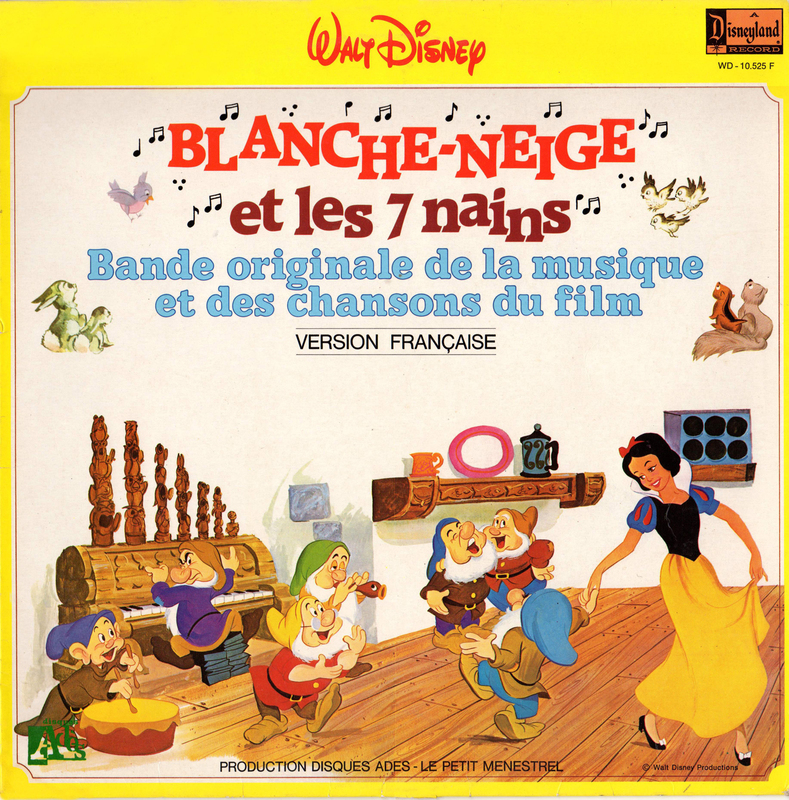 Litho illustration: Music and dance with Prince, Snow, and dwarfs. 4. 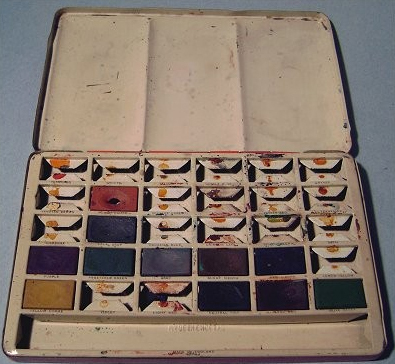 Holds 30 paints. Measures 6.75" x 4.5". 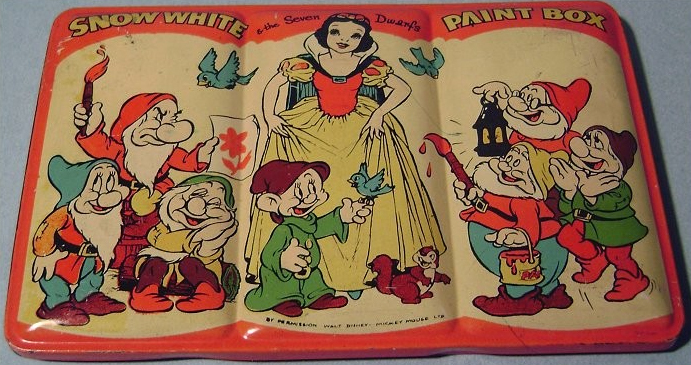 Litho illustration: Gustaf Tenggren-style Snow White surrounded by the dwarfs, Grumpy and Happy with paint brushes. 5. 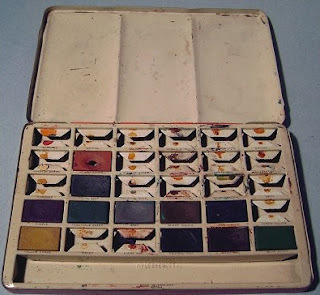 Holds 18 paints. 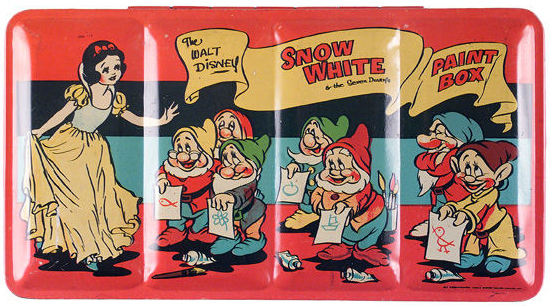 Measures about 6.75" long Litho illustration: Snow and the dwarfs dance and make music. 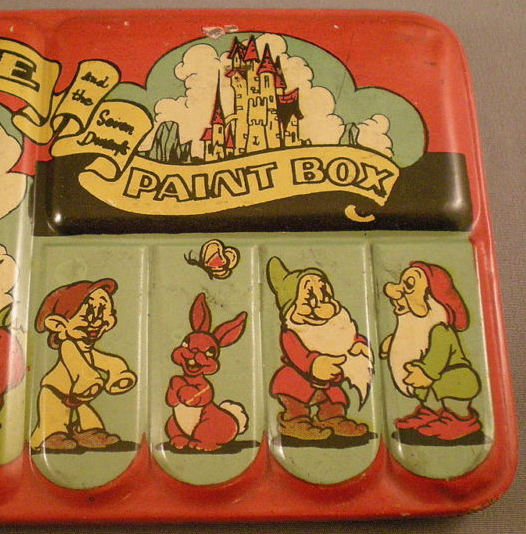 Also see a Dopey Paint Box in another post. Brodie H. Brockie, illustrator, writer and Jungle Cruise adventurer, recently designed these fan art 'faux comic book covers' which he has entitled the "Princesses of Power" series. The task I set for myself was this: redesigning the Disney princesses as superheroes, keeping the familiar elements of their costumes along the way. The additional guideline I gave myself was to try to imagine the costumes as they might've been created around the same time they had initially been designed for their animated features (meaning Snow White should look like a character from the 30s, Cinderella from the 50s, etc). 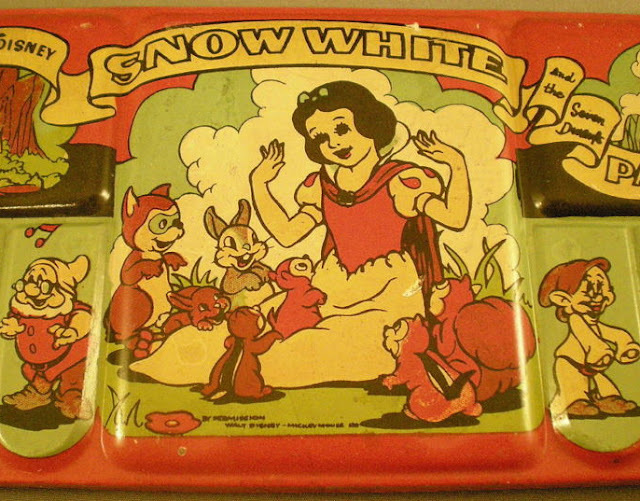 ...journey back to 1937 to meet the princess who's changing what it means to be "the fairest one of all": the sensational Snow White! All images copyright Brodie H. Brockie. Used with permission. 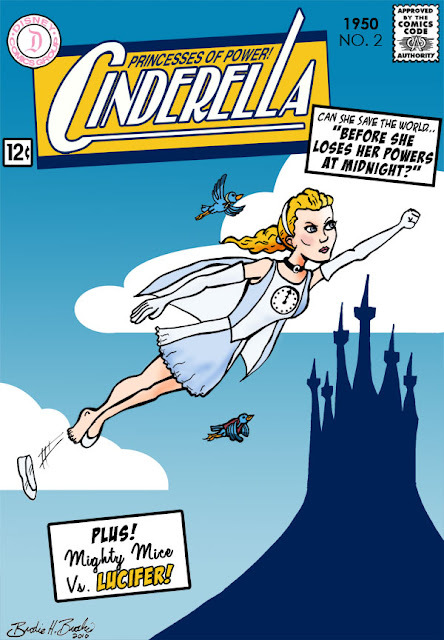 Learn more and see all of Brodie's "Princesses of Power" comic book covers on his blog. 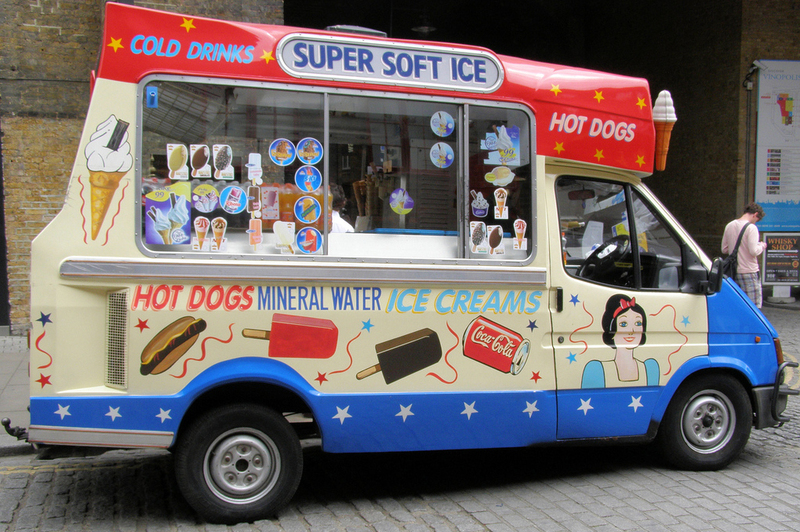 The dog days of summer are the perfect time to be thinking ice cream. 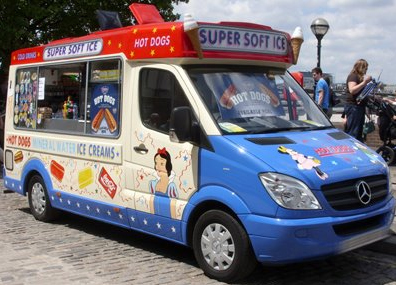 If you happen to be in London, keep you eyes and ears open for your neighborhood ice cream truck. 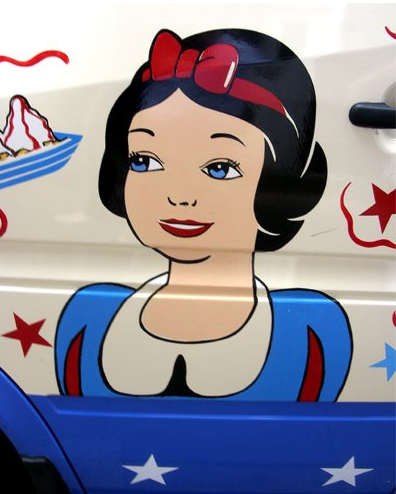 These vans are adorned with a host of classic animated characters. 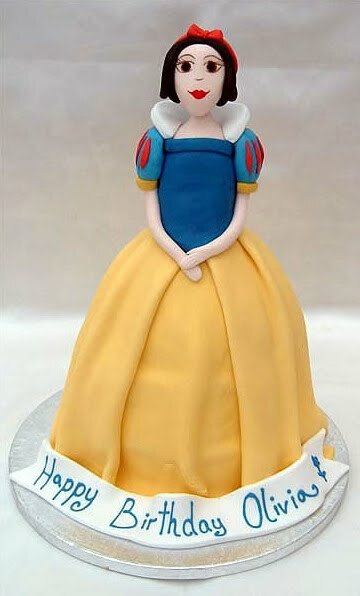 A few in particular include none other than Disney's Snow White--clearly in an unofficial, non-licensed capacity. Image copyright Cory Doctorow. Creative Commons. 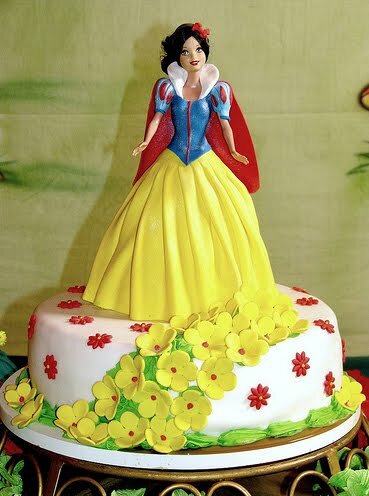 According to The Hollywood Gossip, back in 2007, Italian model and actress Elisabetta Canalis was seen dressed like Snow White for an outdoor photo shoot. Why? The online gossip site never got the details. 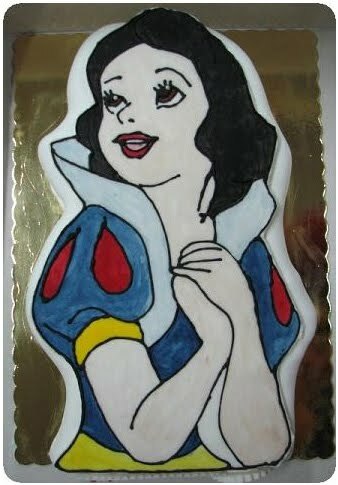 Snow White cakes! Sponge cakes, chocolate cakes, and sugar-molded figures from around the world...who knew? Image copyright Carol Linden, Brazil. Used with permission. 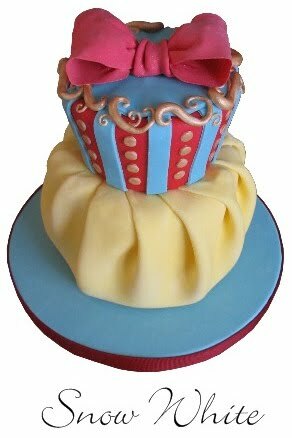 Cakes copyright Snooky Doodle Cakes, Malta + Sugarlicious in the UK. 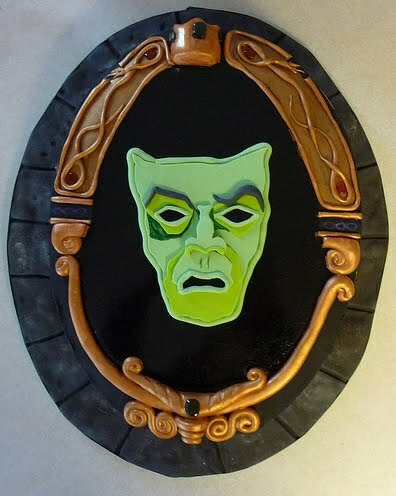 Chocolate Magic Mirror, copyright Toppers Cake Company, Ogden, Utah, US. Used with permission. 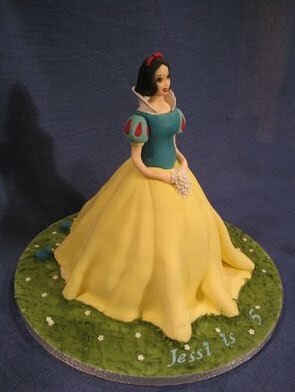 Sugar-molded Snow White (not a doll), copyright Dragonsanddaffodils, South Wales, UK. + NeedACake, Berkshire UK. Copyright Courtney Clark at CakeNouveau, Ann Arbor, Michigan, US. 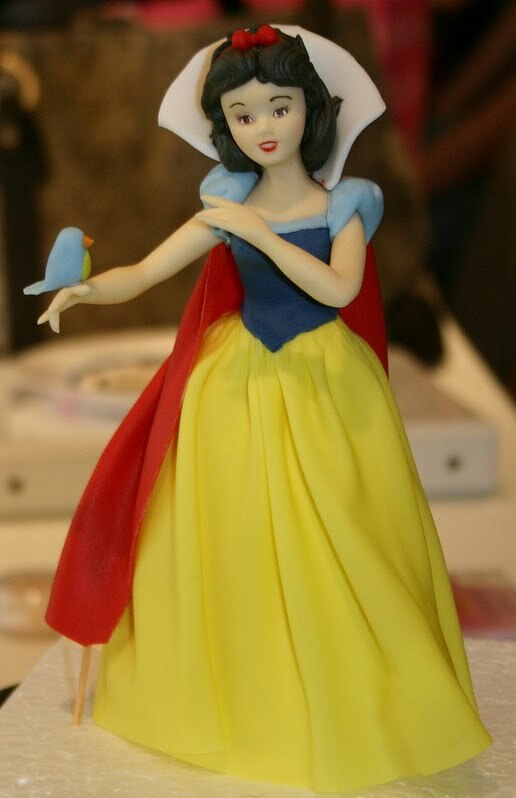 Figure sculpted from pastillage and gumpaste by Marcela Sanchez from Brazil. 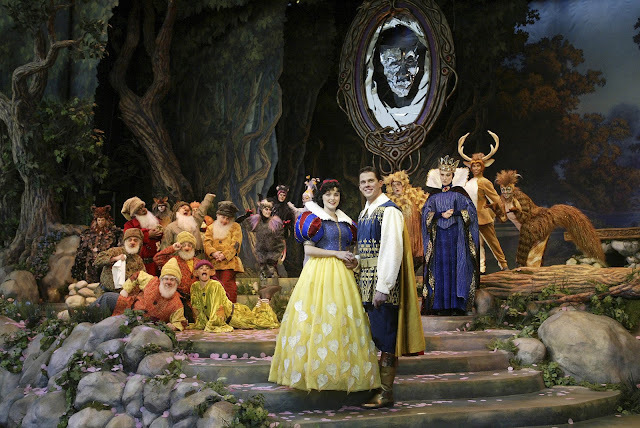 When Snow White: An Enchanting Musical opened in 2004, it received mixed reviews. Many guests thoroughly enjoyed the presentation, while others, hoping for a Broadway caliber production claimed it fell a little short. Yet, for a theme park performance, it was certainly a cut above the norm. From sets and costumes to action and effects, Disney spared no expense and it showed. SNOW WHITE CURTAIN CALL, Photo by Ken Howard, 2.7.2004. 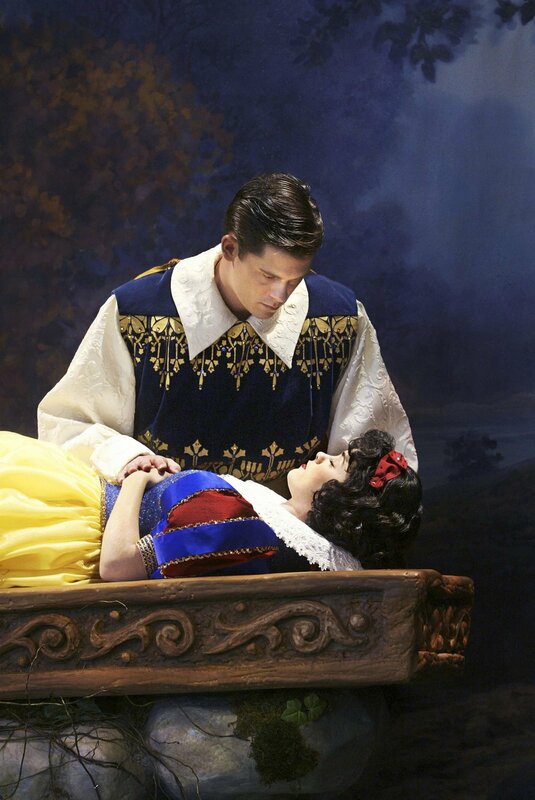 High Res images via Disney and More. 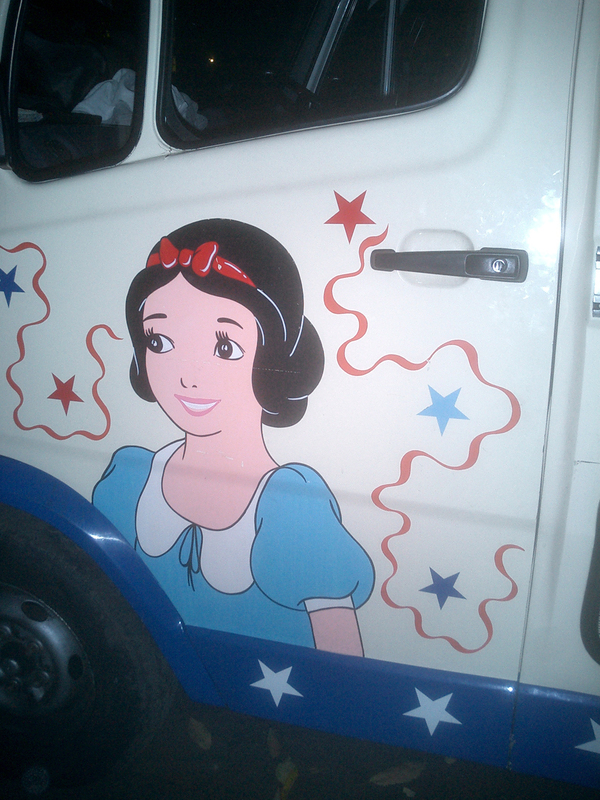 Copyright Disney. 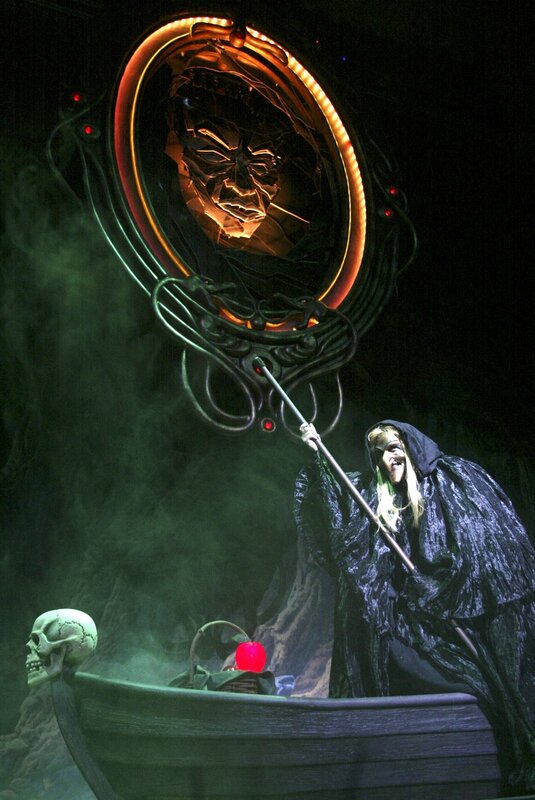 The story concludes with Part IV: The Evil Queen transforms into the Old Witch and concocts the poison apple. 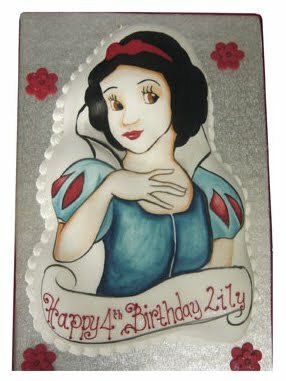 She slips away to the Dwarfs cottage where Snow White succumbs to her deception. The forest animals alert the Dwarfs and they give chase after the Witch until she comes to a dramatic end. Finally, the Prince finds Snow White asleep and awakens her with love's first kiss. On September 15, 2007, Disneyland held what they called the "Dream Sale". Unused items from the park were sold off to collectors and fans. 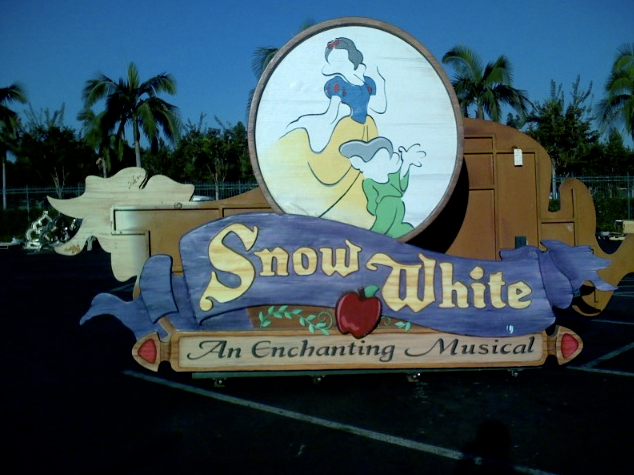 One of those items (pictured below) was the sign from the Snow White: An Enchanting Musical that once hung above the entrance to the Fantasyland Theatre. Image copyright Ablirien. Used with permission. Also see the promotional trading cards that were produced in conjunction with the musical.